Though only 26 years old, Kate Levy is already a veteran rider in the show jumping arena. She’s competed at the Grand Prix level since she was 18, while completing her International Business degree at Georgetown University. That’s when she decided to try SUCCEED® Digestive Conditioning Program®. “I’d read about SUCCEED. 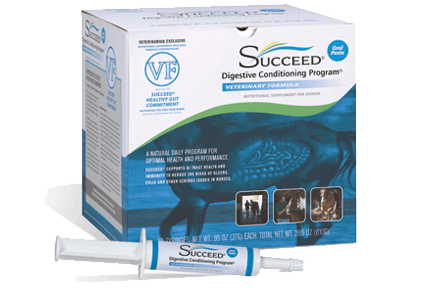 I knew International Grand Prix jumper Laura Kraut was using SUCCEED on all her horses. So I tried it. And it really worked wonders. The problem went away for good. Horses’ digestive tracts maintain a delicate balance that can easily be altered by the challenges of performance management and care. 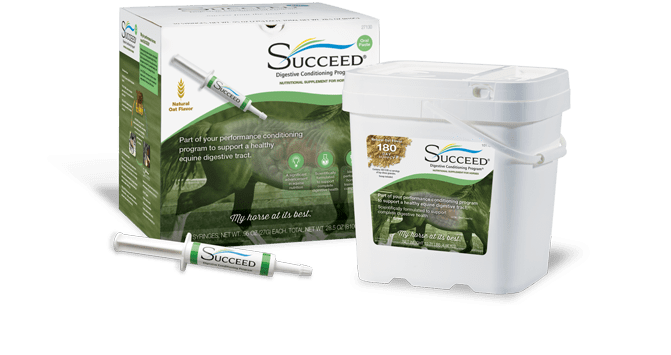 SUCCEED is a unique, daily nutrient program that supports complete digestive health under these rigorous conditions.